The Internet of Things (IoT) is a concept of embedding everyday-use items with sensors and other electronic components for enabling connection and data exchange between these objects. IoT has definitely simplified our lives with the help of smart devices which are easily controlled via smartphones, and can even be programmed using Artificial Intelligence. But what restrains the evolution of the IoT is the security concerns. Many people doubt that it is possible to ensure the security of all connected devices, and that makes it harder for the IoT to move forward and win the masses. So right in the middle of these concerns there’s a necessity to have a more powerful centralized security model. And Blockchain with its cryptographic processes could be the best choice. Blockchain’s ledger-like capabilities are extremely relevant to the IoT because it is a solution designed to organize inputs from a huge array of participants. Whether people make transactions in Bitcoin, vote in an election, or use smart contracts, Blockchain provides an incorruptible, decentralized method for data attribution and security. There can be no question which participant made which entry, and in which order. All this is possible because Blockchain consists of millions of nodes, all of which simultaneously run the network, ensure its security through encryption and decentralization, and keep a real-time version of its ledger alive between them. So how will Blockchain combine with the IoT? A traditional, centralized model could never manage the data produced by the IoT; there is hardly anything that could cope with the demands of the 75 billion connected devices predicted by 2025. The decentralized approach of Blockchain technology is a paradigm shift in data management. It eliminates single points of failure and provides strong protection against data tampering. This prevents a rogue device from disrupting a network of IoT connected devices. The ledger used in Blockchain does not exist in a single location and changes are simultaneous across the network. • It can build trust between parties and devices, as it is a transparent technology where all stakeholders can view the information. • It reduces costs by removing the overheads associated with intermediaries and accelerates transactions so that settlement times are reduced from days to near instantaneous. • Blockchain is programmable, so you can automatically trigger actions, events and payments when certain conditions are met. This will allow you to create leaner, more efficient processes to boost your return on investment. Device firmware can be hashed into a Blockchain on a continual basis. If the firmware state changes (by even a single digit) due to malware altering the firmware code, the hash failure will alert the device owners to foul play. It can resemble the reaction of the immune system to a foreign body. Information or checking instructions – device hashes information it wants to send to another device and places the hash into a Blockchain…the receiver of the information hashes the same information…if the hash matches the hash on the Blockchain, then the information has not changed in transit. Device Identity Protocol. Each device has a Blockchain public key. Devices encrypt messages to each other (challenge/responses) to ensure the device is in control of its own identity. Devices develop reputations in the same of Keybase.io – each device has a public key. Cryptographic reputation systems are overlaid over devices. There could be, for instance, a certification agency for devices which audits the device and then gives it an identity on the Blockchain. So once the device is historically ‘born on the Blockchain’ the device’s identity will be irreversible. Can the environmental inputs that are unique to an individual sensor, such as GPS, temperature/humidity, etc., be used in conjunction with IMEI & OEM firmware hashes create the ultimate in tamper-resistant unique device identification? So as you can see Blockchain IoT can create a whole pool of many new services and businesses. What impact could BIoT have on your business? For example, one potential use case is the use of Blockchain technology to quickly check a person’s identity or credentials when hiring a new employee or contractor, without the involvement of a third-party. This will help you to instantly verify and assess a candidate’s skills, performance and education. What’s more, you could use Blockchain technology to build a comprehensive record of their workplace performance and training once they start their role. As Blockchain is programmable, data-heavy processes like payroll could also be automated to boost productivity. In addition, IoT devices could monitor an employee’s location and record the correct mileage during a business trip. Still the potential of Blockchain technologies extends outside of recruitment and HR. For example, IBM Blockchain is using it to trace a food item from farm to store in seconds. And Wal-Mart tried out Blockchain to manage product recalls in 2016. 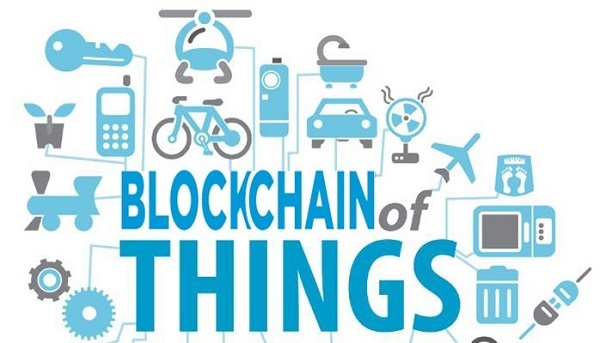 Blockchain technology will allow IoT devices to truly become autonomous – exchanging data, executing actions, and improving their own processes – all without any kind of centralized authority. Whether this is a lonely human assigned to watch over a small system or a multi-billion-dollar server array, the benefits are plain to see. As new companies find success in the marketplace, Blockchain technology will slowly be adopted in industries far and wide, with IoT at the crux of the trend. Next postWhat is Mob Programming?